From the top menu, select Windows > Side. From any of the other views, click the Add View button and select Side. Camera Cone The camera cone represents the camera’s position and field-of-view (FOV). The axis reference arrows let you maintain your orientation when navigating in the view. Show/Hide Camera Shows or hides camera frame in the Perspective view. 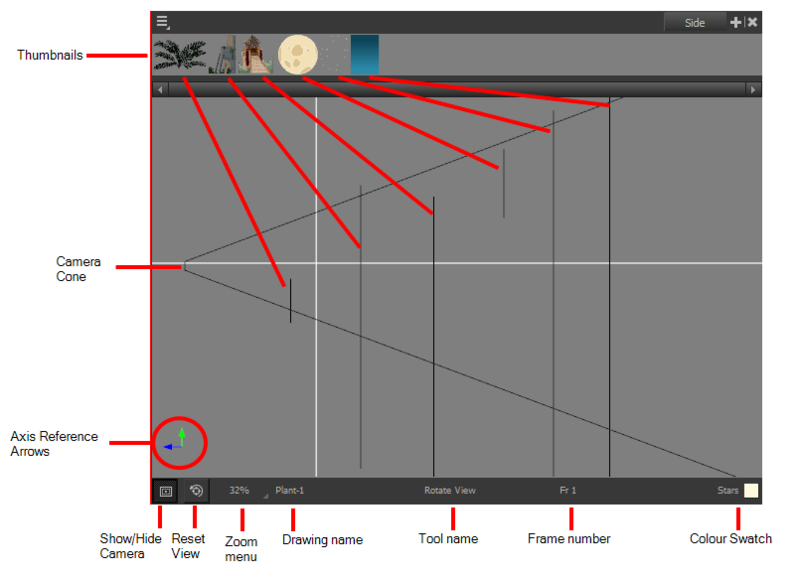 Reset View Resets the pan, rotation, and zoom of the Perspective view. Tool Name This field displays the currently selected tool. Frame Number This field displays the currently selected frame of your animation.